I have finally started the Christmas knitting, I am currently at 2 out of 5 plus there is some none knitted things to make. And then I have to start the baking, which I’m trying not to think about at the moment. I am at the stage of endless lists, where everything is still possible and I am not staying up all night. 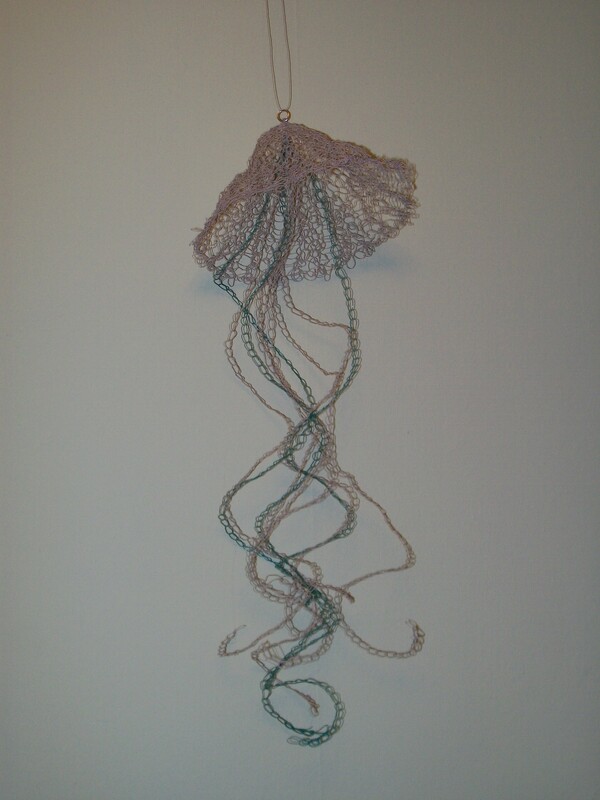 So far my favorite thing is the wire jellyfish for Anna, who to my knowledge does not read the blog, so I can put a picture up. It is currently hanging on the wall above where I am sitting. This entry was posted on November 27, 2009 at 12:39 am and is filed under Uncategorized. You can follow any responses to this entry through the RSS 2.0 feed. You can leave a response, or trackback from your own site.